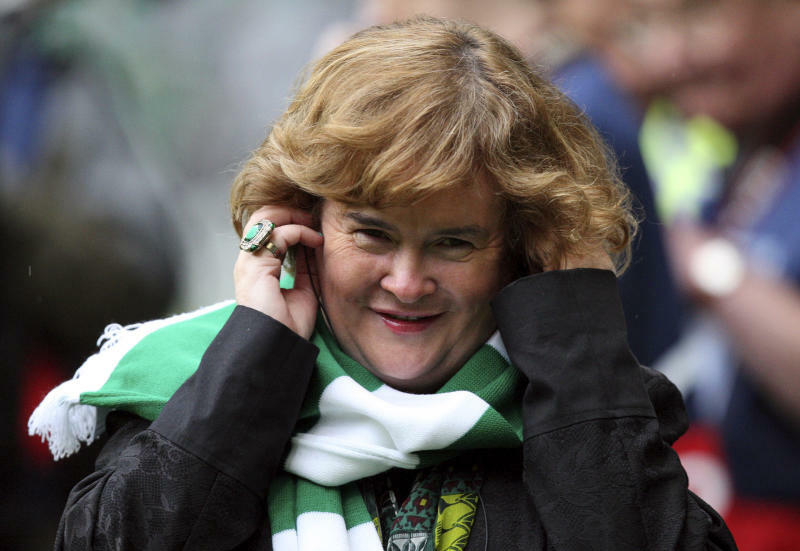 LONDON (AP) — Singer Susan Boyle says she has been diagnosed with Asperger's syndrome, a form of autism — and feels relief at finally having the right label for her condition. The church volunteer from a small Scottish town became a global sensation when she sang the "Les Miserables" number "I Dreamed a Dream" on TV contest "Britain's Got Talent" in 2009. The contrast between her shy manner and soaring voice won Boyle legions of fans. She has sold more than 14 million records around the world and recently released her fourth album, "Home for Christmas." She makes her big-screen debut in holiday movie "The Christmas Candle." Boyle has occasionally struggled with the pressures of fame, and was treated for nervous exhaustion soon after her stint on "Britain's Got Talent."